Services for Brandy Watson, 40, of Jefferson, will be 11:00 p.m. Saturday, December 8, 2018 at Collier Chapel Baptist Church in Karnack. Burial will follow at Driskel Cemetery under the direction of Lewis & Walker Funeral Home in Jefferson. Ms. Watson will lie in state from 12:00 until 5:00 p.m. at the funeral home. 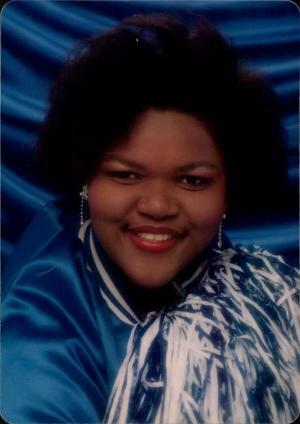 Miss Brandy Ann Watson was born August 25, 1978 in Marshall, Texas to Kathryn Ann Watson and the late Jesse Watson Sr. Brandy received formal education at Jefferson High School and graduated in 1997; she continued her education through Gary Job Corps. She substituted at the Jefferson ISD until her health failed her. She joined Collier Chapel Baptist Church in Karnack, TX at an early age, she sang in the choir and services on the usher youth board. Brandy was preceded in death by her father, Jesse Watson, Sr.; and brother, Timothy Conner. She is survived by her son, Xavier, she had a deep true love for her son, he was her rock; her mother, Kathryn; two sisters, Sybil Griffin of Cedar Hill, TX, Cynthia Cooksie of Sacremento, CA; one brother, Jesse Watson, JR. (Lashandra) of Kyle, TX; and a host of nieces and nephews.